A consultant will NOT make decisions for you, but help you to take decisions! Gardelli Consulting is a full-service consultant agency, focused on providing experienced leadership and expertise to Real Estate Developers and Business entrepreneurs. Our primary goal is to effectively manage client’s needs to increase their opportunities. Multidisciplinary capability means ability to cover any aspect and every phase of a project. GC knowledge of the development process combined with cost and procurement benchmarking data enables us to offer a 360-degree project support. Clients rely on our detailed understanding of the development to navigate the risks associated with any capital investment. Gardelli Consulting has a firsthand practical experience of putting together and successfully delivering development projects, including large scale and complex mixed use schemes, leading effectively development projects through the entire property development process. We have developed a suite of integrated services professionally delivered to provide clients with the confidence that their projects will achieve their corporate goals. To increase the value of client’s assets, GC offers an advanced-level thinking, combined with professional qualifications, technical competences, ability to develop practical recommendations, ability to build trust and work effectively with public authorities, ability to manage an assignment and stay on schedule and within budget. As an investor in a project, you require clear and concise independent advice on the project’s ability to achieve its objectives. Gardelli Consulting knowledge provides appropriate advice to protect your interests. Success requires careful planning to ensure needs and requirements are met, schedules are kept, quality standards are adhered to, cost and time mistakes are minimized. GC distinguishes on the market by the ability to control the entire real estate project development (from the purchase of the asset, to the design, construction and delivery to final client). 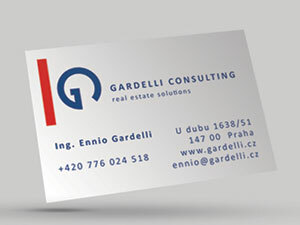 As a newly established independent advisor on the market, Gardelli Consulting has been founded on professional and extensive experience in the real estate industry gained also by having supported international companies in the development of substantial real estate assets. GC uses its integrity to save customers money and time, reduce risks, increase efficiency, maximize sustainable outcomes and advance best practice. We combine technical expertise and experience with client expectations. Gardelli Consulting uses specific approach to meet the goals of any client proposed work plan, bringing innovation to your particular needs, understanding of single problems, estimating the specific work to implement specific cases with a detailed offer of services. Success needs to be achieved through thorough business case analysis, plan preparation, creatively solving problems and meeting the unique challenges each project presents. Development Companies, Private Investors, Financial institutions, Investment funds, Market and Financial Advisory, Business men, they all have different approach to the real estate environment. GC is able to offer a personalized support with respect to the specific needs of my customer, offering tailored solutions addressed to clients’ individual needs. Experience must couple with intelligent and practical tools, understanding what is critical for each client and his business, enabling to offer solutions tailored to your specific needs. To be successful in Business Development the partnership between consultant and client must be built on strong relationship. Gardelli Consulting commitment to collaboration does not end with the delivery of a specific service. We willingly team with clients, creating mutual trust and respect, within a total agreement on objectives and full information sharing. GC strongly believes on these fundamentals, in order to keep a successful working partnership. From our side, constant accessibility, continuous interaction and regular program and progress report are the tools we offer to best match mine capabilities and your needs to meet. We're professional at what we do, and we are willing to partner with your company to add value to you. GC range of activities that could help you is quite wide, but first we need you to reach out and send us a note. We'll get back to you asap!